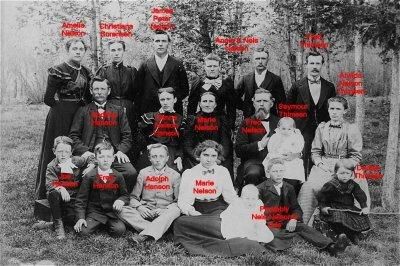 Here is Frederik Nelson's genealogy page on Rootsweb. Click for a larger version with names. These images generously provided by Marcia Thimsen-Noble. &COPY;2003-2009 Gary K. Jacobson-All rights reserved. Last updated on 1JAN2009.